reasonable with the pricing we would rent from 123 Dumpster again. My family was cleaning out our garage and needed to order a dumpster. I went online and located this company. I never had rented anything like this the staff was very nice and helped with the process. The pricing was so reasonable I would use the company again. I just wanted to take a minute to Thank 123 Dumpster for being there when we needed a dumpster during the storm they were wonderful. My boyscout group wanted to do a clean up in our community to earn several different badges. We got together over the weekend and located this company 123 Dumpster. The price a very reasonable and the service was very good . where to find anyone. I went online and found 123 Dumpsters. They came out so quickly the best part was how kind everyone was. The organization that I belong to wanted to do a Spring event for the community cleaning up the area. I needed to rent several dumpsters and was able to locate this company 123 Dumpster who delivered and picked up the units in such a great time frame. The pricing was affordable for our budget would highly recomment this company. 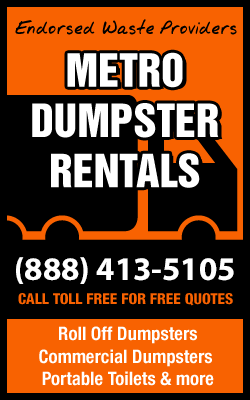 I rented dumpster before but would come back to this company the price was so affordable. My sons needed a dumpster at a clean out they were doing for a boy scott group. This company delivered the unit to the site which I have to say was a little off the beaten path and assist with placement of the unit. They were great. one you can rent a small one for a reasonable price. be placed the driver was awsome with placing the dumpsters in such limited space we had. through Mississippi. I wanted to be able to board it up from the weather but wanted to get all the debirs up. to get me the dumpster on the weekend. I have to Thank the company for helping me out! a minute to let everyone know. discovered 123 Dumpster he was able to set up service for a very reasonable price and I wanted to let everyone know how accomadatiing this company is. found 123 dumpster I have to say the price was great and the service we received was even better. I purchased my first home and needed to rent a dumpster to do some serious clean out. I located 123 dumpster and have to say they were great. The company was so affordable and the service was great. I needed a dumpster at my sister’s house in Washington and I was trying to arrange for the dumpster long distance I found 123 Dumpster online and was able to make all the arrangements and they were affordable. they delivered they were able to place the dumpster in a great location. My sisters and I wanted to help our parents clean out the garage and clear the back yard to build a pool. were able to locate one with 123 Dumpster they delivered and the best part is the process was affordable. made everything so easy and the best part it fit in my budget. I have to say that made our first experience with renting a dumpster great. I wanted to recommend this site to anyone that is in need of a dumpster to please use this site. I never needed one or new how to order one but the employees and the site made it so easy to arrange. The price was reasonable and the process was very easy. Wow guys, quick turnaround on my dumpster swaps! You guys are the best! My husband and I bought our dream canal home in Melbourne, FL. As first time home buyers we knew we needed to buy a fixer upper if we wanted to get a home in our desired location. We did just that which meant tons of remodeling. We needed a dumpster to put all the old cabinetry and out dated decor. 123 helped us figure out what size we needed and delivered it to us the very next day. I am sure we will be needing more dumpsters as we move from project to project and 123 will be my first call. We were putting our house up for sale and needed to do a “spring” cleaning on it. We called 123 and they gave us a quick competitive quote and were able to drop us off a dumpster within 24 hours. What more do you need? Thanks guys. perfect site. I was able to get a quote the young lady called me back and set everything up. I would recommend 123 Dumpster to my friends to use. We needed 3 portable toilets at our ballpark in Hawaii. This company was able to find them in time for the game 2 days later. Thank you! We have a barn on one of our properties that we had rented out to someone to use for storage. Well they ended up disappearing and after waiting for months we finally decided they weren’t coming back and we needed to empty out the barn. We called 123 and they gave us a great price on a dumpster and they were able to answer all my questions. It’s good to know there are still companies out there who really care about their customers and go above and beyond to help each person out. Very cool. Thanks! I didnt rent a dumpster from you my neighbor did but I have got to say your crew is extremely professional. I dont normaly do things like this but in this case I believe it was warranted. Great job guys and keep up the good work! My brothers and sisters wanted to surprise my Mom & Dad and get together to help clean out the garage. I wanted to just take a minute to say Thank you for this site for being so helpful setting everything up for me. they arranged everything helped with selecting what size we needed ,delivery and best of all it was reasonable. company was wonderful and delivery the dumpster on a Saturday and were very affordable. Your office staff was very knowledgeable, friendly and helpful. I appreciate the extra time they took with me! Hey guys, awesome job getting the dumpster to me same day…I never knew it would be this easy to order a dumpster and receive it same day but you made it happen so thank you. I needed to have a dumpster delivered for a remodeling job we took on but I needed to have two and asap. My brother recently passed and we were left with the daunting task of cleaning out his home. We only had a few days to get this done and it was out of town, so we were unfamiliar with the companies in the area. 123 Dumpster helped us locate the best price and what we needed. Thanks for making our loss easier. My family is cleaning out our aunt that just past away home. I went to this site and was able to locate a dumpster what I like about it is the people were very nice and understood what I was going through. They worked with me reagarding setting up delivery and the price was very affordable. I needed a dumpster at the last minute and was able to go online and get one really reasonable. It only took minutes to set up the service and the company was so nice. Yall make thangs happen fo real. I called last minute Friday and you got me my dumpster withen the hour. I dont know how you did it but keep on doin what your doin. We had a fire in our home and had to clean out everything that was damaged. 123 was able to help us with what we would need and how much it would cost. They were very helpful during a time that we really needed it. Glad businesses like this still exist. Thanks so much 123. Wow you guys are fast! I never thought it would be possible to order a dumpster and receive it the same day! Thank you so much!!! My parents needed a dumpster to clean out there home and ask me to help locate someone in South Carolina. I went online and found 123 Dumpster Rental they were fast and affordable. My parents loved the service I would recommend them to everyone. You guys are da bomb! You made everything so much easier than I ever thought possible and I really appreciate it. We was doing a clean out of my momz home after she passed. She collected so much junk over her life. I never needed a dumpstr before but these case made it quick and easy. They helped me figure out what size I need, and with their pricing I didn’t pay for nothing I didn’t use. It was way cool. I hope I don’t need to use a dumpster again soon but if I did I know where I would be goings. My Bridge Club was wanting to do a community clean up and we found the best company to rent our dumpster from 123 Dumpster Rental. I will recommend this site and company to all my friend Thank you for the great service. Wow guys, couldnt have asked for a better job, I’ll definetly be reccomending you to all my friends in the future. Thanks guys! I bought a foreclosure home and it was a wreck. They brought me a dumpster and hauled it off. Quick and courteous. Doesn’t get any better than these people. I cant say enough about how professional and polite your team is! I will definetly be recommending you to all my friends! Thank you so much! the delivery into my timeframe. 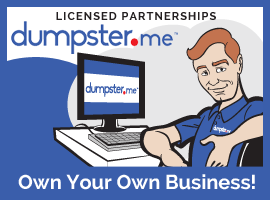 I think if you looking to rent a dumpster this is the site for you. 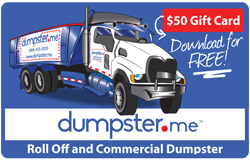 I live in a remote city in upper NY state and was having problems finding a company that would provide dumpster rental service to me. 123 Dumpster Rental went out of their way to provide immediate service to my property, which made our bathroom renovation so much easier. Thank you! affordable and I had not one problem with delivery or picking the dumpster up. I did not think that I would need to have a dumpster at my office, which is very small, yet I found out very quickly that small business does not equall small trash. So I was able to quickly and easily order. it on the weekend. I would use then anytime. I had a tenant move out of a property I owned and they left a HUGE mess. This company gave me a great price on a dumpster and were really helpful. Will definitely keep them in mind next time I need a dumpster. You guys got a dumpster out for me last minute when my mother passed away and I needed to clean some things out of her house. Your office staff were sympathetic to my needs and I really appreciate it.Thank you so very much for everything. After the passing of my father we had the undanting task of clearing his property and home. 123 made that happen. We did not have to worry they helped us with knowing what product to get and to use and it was a weright that was lifted. It helped to be able to put everything in a dumpster and have it out of sight instead of sitting on the road side. Thank You in our time of need. we had. My husband went online and was able to get a dumpster the next day at a affordable price. back up with not additional fee. I would recommend 123 Dumpster site to anyone looking for a dumpster. My Woman’s club wanted to do a clean up at the church over the weekend and we needed a dumpster. I went to 123 Dumpster late on that Friday and was able to have one delivered Saturday morning. I recomment 123 Dumpster to anyone they were wonderful. delivered the next day . I club was able to finish our project quickly and with not alt of cost out of pocket. come in handy. This site was great the delivered picked up and the price was great. I never expected to be able to get a dumpster on such short notice, you guys made it happen and for that I am grateful. Thank you 123. 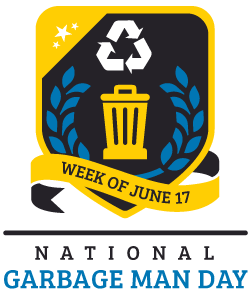 Arwood Waste recycles enough demolition material every year to save 41 million trees and enough metal to construct over 4000 dumpsters a year. Please recycle any printed emails. I would recommend 123 Dumpster to anyone that is looking to rent a affordable dumpster quickly. Hands down 123 is the best dumpster rental company I’ve ever worked with. Being a roofer, I’ve used other rental companies in the past. Never again! This is my new go to service. Thank you! You guys were so helpful! You said my dumpster would be here in the morning and it was, right on schedule. The drivers were even careful not to damage my driveway when they backed in. Thank you guys! I never knew ordering a dumpster last minute would be this easy! Thank you guys! fine a dumpster that was very affordable and want to take a moment to let everyone know. recommend the site and the company the service was excellent. to be able to rent the dumpster. I needed to have a dumpster delivered quickly for a church event over the weekend. I went online to 123 Dumpster and received a reasonable price and the dumpster was delivered quickly. to someone that help me with all my needs and the pricing was so reasonable. out the next day and was able to complete my project in time. My wife and I decided last minute to do a kitchen renovation and needed a dumpster to do the job. 123 Dumpster helped us when no one else would. 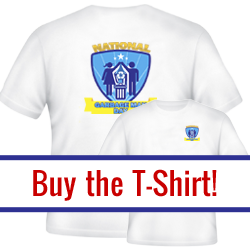 The sales staff was extremely attentive and friendly and made this an easy decision for us. I would highly recommend anyone use 123 for any dumpster rental needs. A relative past away in Ohio and we had to clean out there house for them. I did not know who to call and was referred to 123 Dumspter. The employess were very helpful and pleasant which made my experience so nice. The service was great on time and very reasonable. Portable toilet and roll off dumpster rentals in Jacksonville, Florida from 10 to 40 yard containers. 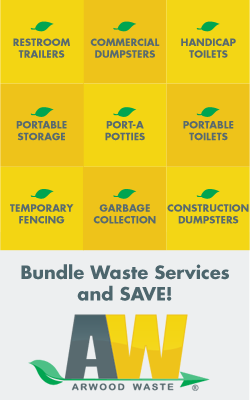 Home owners, business owners, and building contractors alike can find cheap local dumpster and portable toilet rentals with delivery to Jacksonville, Florida. Call or click for prompt delivery and be confident you are getting Discount Dumpster Shop’s best price from our Preferred Vendors. Whether you are new to dumpster rental or are a contractor with ongoing service needs, an experienced ‘Preferred Vendor’ dumpster rental company can help you by assisting with container size selection and will be flexible on dumpster delivery schedules to accommodate your waste removal needs. Know that you are dealing with a reputable Preferred Vendor from Jacksonville, Florida is a great way to make sure your project does not face delays. Meet the Business Owner: John A. We are located in Norfolk Virginia and decided at the last minute to clean out our garage over the weekend. This company donated a small dumpster for our non profit organization in Great Falls. I will use them anytime I need any waste removal..
Had a flood in Clarksville and needed a dumpster for the damaged carpet asap. Called and received dumpster the same day. The representive was very thoughtful to my situation and made it happen.